OPENDISC® - create your own link with Digitalism at www.thedigitalism.com and access exclusive content prepared for you. Insert the cd in your computer. (This and the same text in french is printed on the back cover). All songs published by Ed. Metrobass / Universal Music Publishing, except track 5. Track 5 published by Ed. Metrobass / Universal Music Publishing and Fiction Songs Ltd / BMG Publishing. 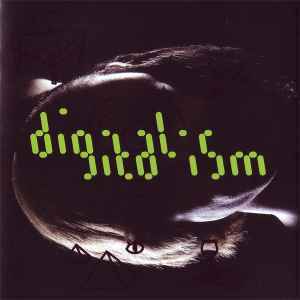 Digitalism are managed and artistically developed by Metrobass in collaboration with Kitsuné, Paris. (p) 2008 Jens Moelle & Ismail Tuefekci / Digitalism Gbr under exclusive licence to Virgin Music a division of EMI Music France. (c) 2008 Jens Moelle & Ismail Tuefekci / Digitalism Gbr under exclusive licence to Virgin Music a division of EMI Music France. (p) 2008 Jens Moelle & Ismail Tuefekci Gbr / Digitalism under exclusive licence to Virgin Music, a division of EMI Music France. (c) 2008 Jens Moelle & Ismail Tuefekci Gbr / Digitalism under exclusive licence to Virgin Music, a division of EMI Music France.